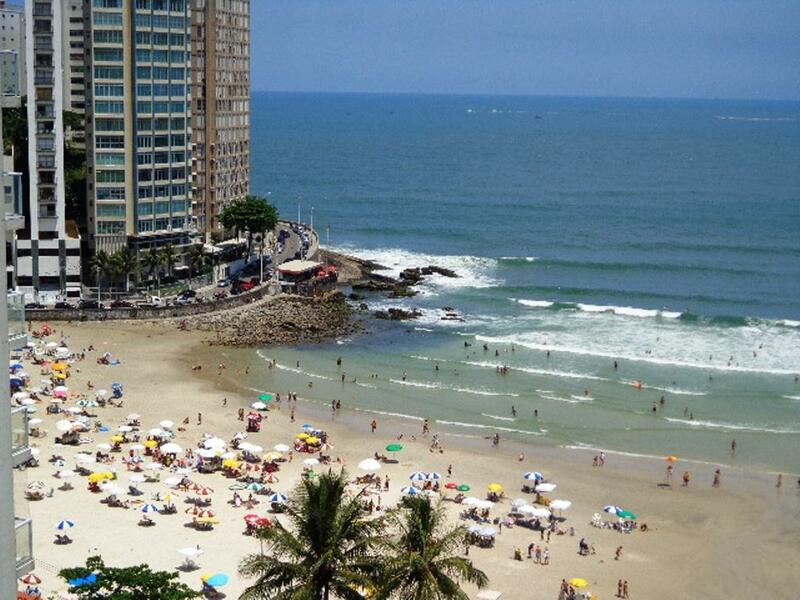 If you are planning to visit the beach , Guarujá beach in São Paulo is a good option. 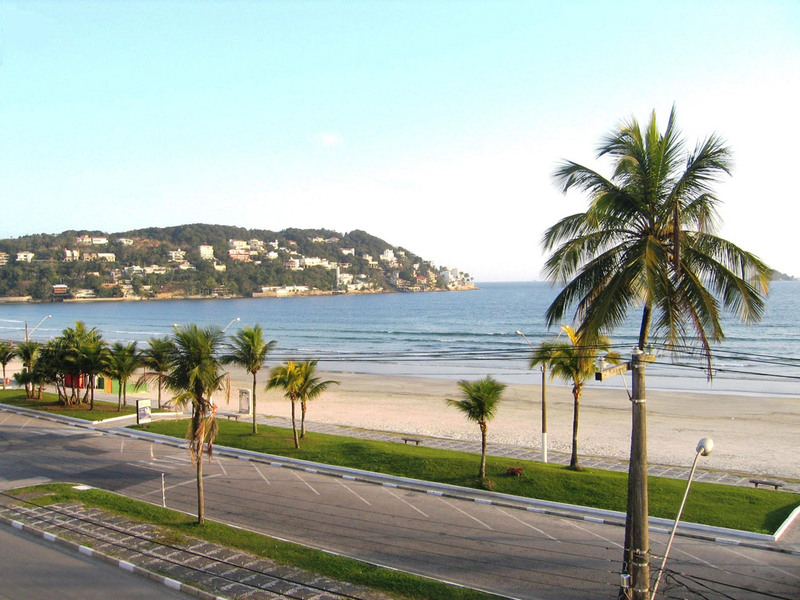 Many Paulistanos (Born or inhabitant of the municipality of São Paulo) have their beach houses in Guarujá, which becomes packed with tourists during the summer months of December, January and February. Be careful, despite being a beautiful place, it’s a city with a lot of occurrence of crimes, most of them related to burglary, theft and robbery. Don’t bring more than you need to enjoy your day. 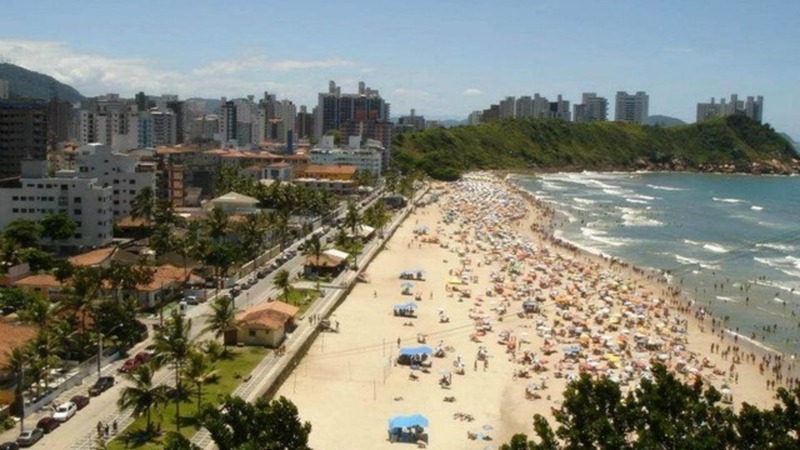 The Guarujá city has 22 miles and 310 meters beaches of unparalleled beauty, amazing whiteness and excellent bathing all year, being praised throughout the country, and known throughout the world as the Pearl of the Atlantic. This city is fully oriented to tourism and counts with tens of clean and free beaches extended all along urbanized roads. Some of these beaches, such as Praia Branca, Iporanga and São Pedro are placed inside a private village, which makes its access restricted. 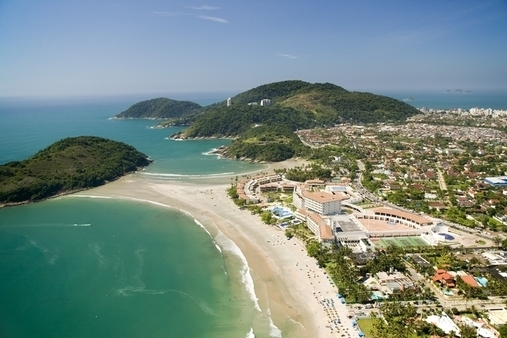 Guarujá has an excellent tourist infrastructure: bars, restaurants, supermarkets and commercial centres. The original name was “sea of orange” due to the resident bouncer, D. Maria Malta is cultivated with Orange, but due to a plague that destroyed the orange started to cultivate the Owner Pitangueiras on site. The beach then became known as “the beach Pitangueiras”. Pitangueiras is a beach with clear water, good for swimming and also for sports like sailing and surfing, including night lighting in the corner of Morro da Campina (Maluf). 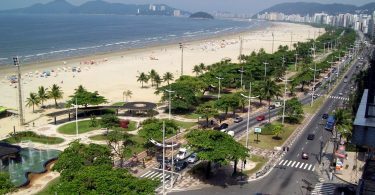 Pitangueiras covers 1800 meters of scenery enclosed by buildings and large commercial centres, some of them, surround The Beira-mar Avenue. 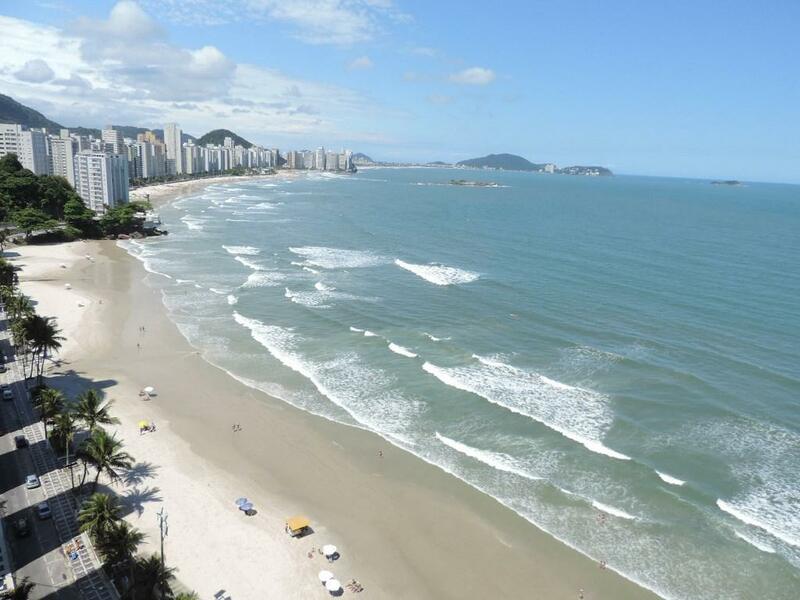 The longest beach of Guarujá has clear waters and lots of waves. The middle and right are most popular for surfing. The left side is quieter, ideal for water sports and has ramps from the boardwalk access to beach, specific to boats and Jet Skis. At the left side of the beach, there is a marina which counts with showers, sanitary and a life-saving post. The main characteristic is the presence of coconut trees and a hundred kiosks distributed throughout its waterfront to support the tourist in the site are the highest concentration of hotels and lodges in the city and major sporting events are held in the hectic summer. 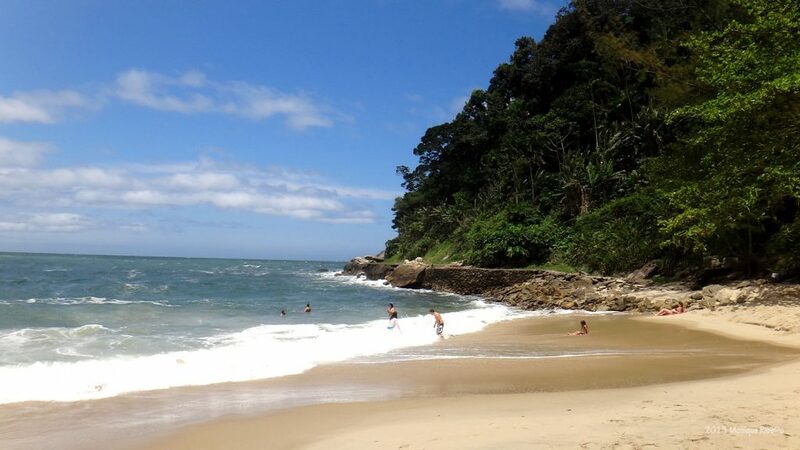 It is located on the hill between the Sorocotuba Cove Beach and Pernambuco Beach. The site has access to automobile and motorcycle, but to get to the beach you need to go down a small trail on the hillside. 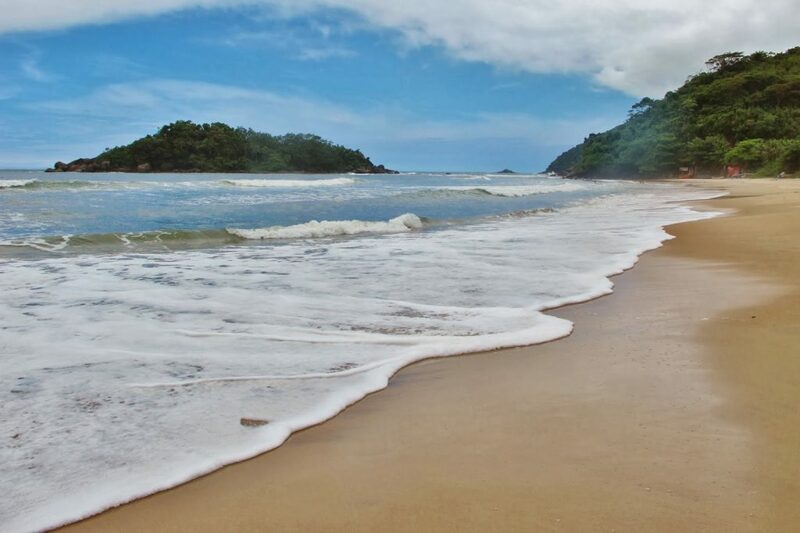 The beach is calm and clear waters, is indicated for sunbathers, scuba diving and fishing in its coastal reel. The word Pernambuco is Tupi -Guarani : Parna – mbuca , which means the hole or entrance hole or passage of natural reef. In nhegatu, Indian dialect, means gushing from the sea. With thin sand and good waves which under certain conditions make the surf day unforgettable. Apart from the beautiful beach is also very trendy. Pernambuco has a privileged view of the Island Groves, chosen by Fernando Eduardo Lee (one visionary American engineer and naturalized Brazilian ) as a haven for their research which was first used solar energy in Brazil , was the scene of experience in pisciculture , plant genetics, wind becoming self – sustainable island. Visits to the island are strictly controlled. Tupi-Guarani: Poranga means beautiful and Y, river. 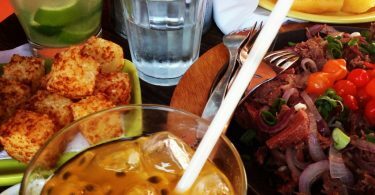 It is approximately 25 km from the city centre. 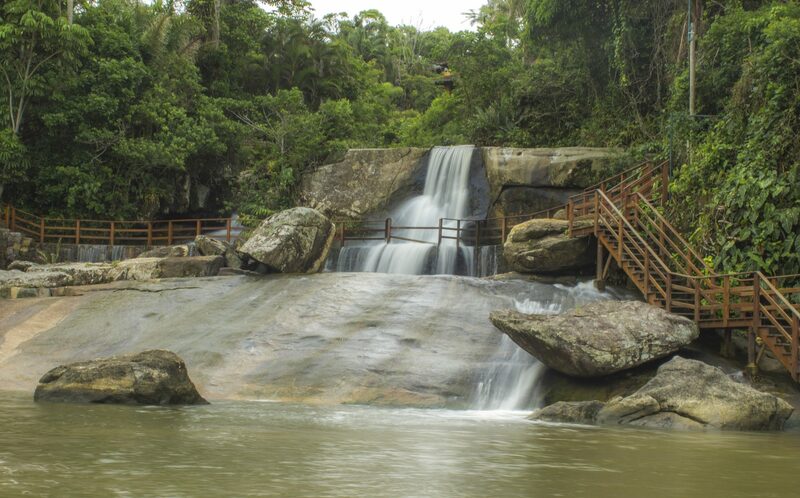 Surrounded by forest, is a beautiful waterfall that forms a natural pool. Its beach has clear and calm waters are suitable for swimming and diving. It is situated on a bay close to the native glade, inside a private village. The natural beauty, such as the white sand and clear sea water, are kept and appreciated by a restricted number of people, which ensures that the next generations can admire the unspoiled nature. At Iporanga, for example, people can choose for fresh water in a waterfall or salt water in the sea, at the same time, at a certain point where the waters meet and mix. Tourists do not need to pay any fee to enter the private condominium, but need to arrive early to ensure entry, as there are only 38 car spaces for Iporanga beach. From the entrance to the beach there is no way to go walking. The control is in order of arrival. They take a card with the number of vacant and when someone left, returns the card. If there is the limit of people, the others have to wait outside until someone left. Don’t have any store to buy water or food, so you need to bring everything what you need during your stay there. The Toilet is in the parking lot, it’s clean and organized. 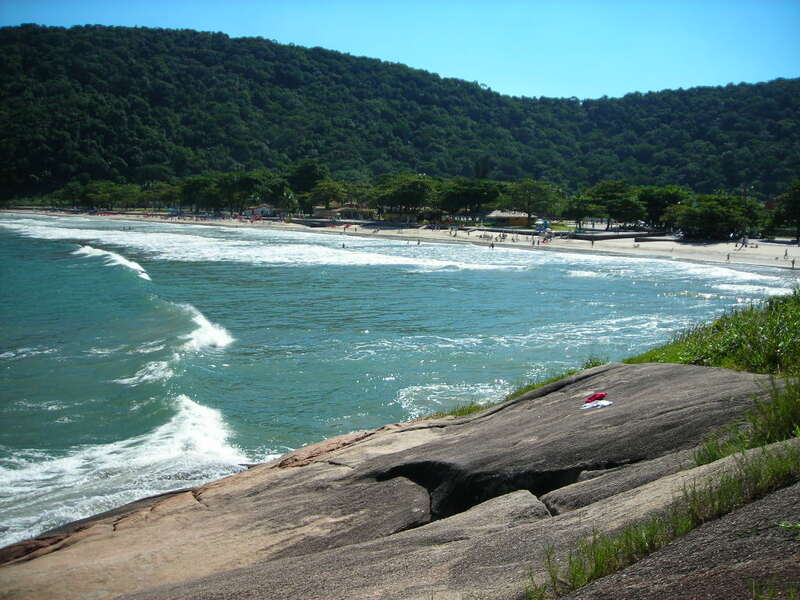 This beach is located at the eastern end of the island of Santo Amaro, extensive, with strong waves on the left side and calm sea on right. The beach is home to the former colony of fishermen it still holds today traditional parties as Reisado brought from Northeast. Your Access is by trail or by sea. Originally it was called beach of Guarujá. However, two former sailors of the ship Prince of Asturias, opened a bar on site with the name of the vessel, the place where many people marked encounters. It is a centric beach, beautiful and good for swimming. This is the favorite beach for surfers of Long Board. It has this name because of its geological formation, with strong ripples, so many holes that cause “bumps” the most inattentive. There is a legend that the slaves were imprisoned in existing caves on the slopes of the hill only to be thrown overboard, and with it, the sea rebelled. The beach hosts national surfing championships and preferred for training professionals in the sport locally, therefore has a fixed for these types of events platform. At night, bars and kiosks season further jinx on site. This beach is very well known because of its huge waves, ideal for surfing, and its restful locations for sunbathing, but attention to signs of lifeguard. The Guaiúba word in Tupi- Guarani means: Place of agitated or storm water or, GUA – cove, pond, YU – yellow and BA – in the yellow cove. Interesting to note that the sands have a slight yellowish tinge and really she’s facing the South has rich Atlantic Forest vegetation. With preserved forest, the beach has kiosks that have Guaiúba aspect of restaurants serving delicious snacks and dishes based on seafood. It’s well wooded boardwalk lets you rest under the shade of trees that are decades on site. During most of the year the beach is quiet and Guaiúba its clear waters attract tourists for a swim, especially around the “Island of the woods”. However Guaiúba also has great quality waves for surfing which tend to be more frequent in the months of July to September. By Bus: From Jabaquara Bus Station you can take a bus directly to Guarujá. Estimated travel time: 1 hour 20 minutes. Buses leave every 45 minutes starting at 5:30am to 9:30pm. Bus companies are Rápido Brasil (www.rapidobrasil.com.br) or Ultra (http://www.viacaoultra.com.br/) and cost R$30,10 in 2016. 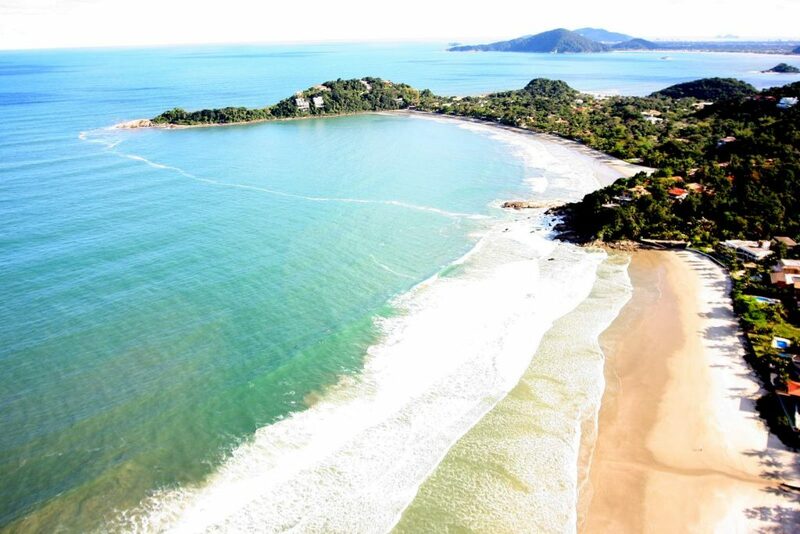 By Car: From São Paulo, take the Anchieta Highway (SP-160) until the city of Cubatão. There is a junction where you can follow the Cônego Domenico Rangoni Highway (old Piaçagüera Highway) until Guarujá. Alternatively, it is possible to go from this junction along the Highway of the Immigrants (SP-150). Thank you very much for sharing this information. The links you give for the buses directly from Sao Paulo to Santos do not actually have buses running? Is there another company? Are there buses back direct to SP International Airport? The Origin will be in GUARULHOS – AEROP. CUMBICA, that is in the only one international airport in Sâo Paulo. The local airport is called Congonhas. I answered in your email with more details. Thanks for your contact! Copyright © 2015. Created by OUSE Lab.